During our annual toast to all this Pride, we wanted to take a moment to give a shout-out to some of the chefs and restaurant owners who are part of the community. A great restaurant enhances a neighborhood and strengthens a community. With warm hospitality and delicious food, the very best eateries are the ones that people turn to when seeking solace in tough times or celebrating triumphs. Whether snuggling in on a perfect date night, gathering with friends or indulging in a perfect solo meal, these are the restaurants you’ll find yourself returning to time and again. Plus, all are either owned or lead by a chef who is a part of the GLBT community. This beautiful neighborhood hot spot Highland Park with the enviable patio is owned by couple Susan Dunlop and Joan Schmitt. 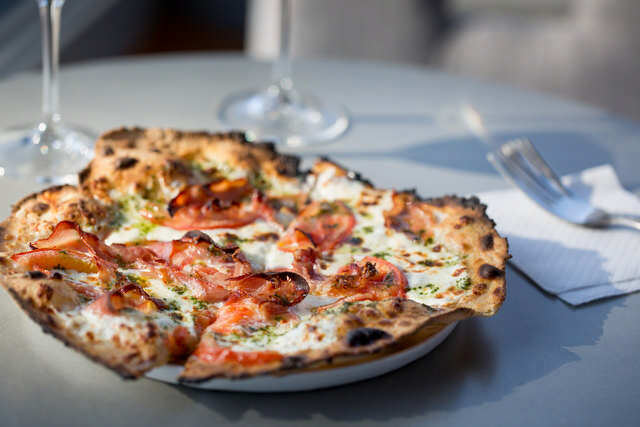 Dunlop is the chef and creates astoundingly elegant meals that are pretty much all prepared in a pizza oven. The two met while working at Morton’s Steakhouse together. Schmitt’s flawless hospitality sets the tone for an intimate dining experience. Reservations are recommended—Saturday dinner seats are in high demand. Can anyone even remember what Minneapolis was like before the food truck revolution? At the very beginning, there was Chef Shack. The original red truck and now the two restaurants—in Seward and Bay City, Wisconsin—are all the work of chefs Carrie Summer and Lisa Carlson. These powerful women met working at another restaurant and have built a mini-empire by blending comforting foods with a little dash and dazzle of big flavors. Whether savoring a pizza in the stunning backyard at Bay City, digging into other-worldly brisket at Chef Shack Ranch or snarfing those divine mini-donuts from the truck, eating Chef Shack always brings the yums. 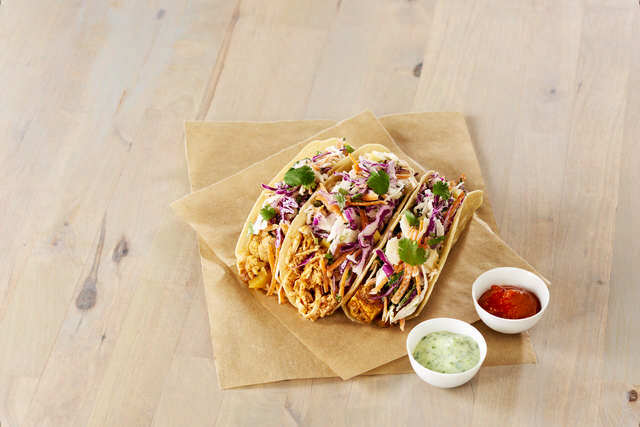 Another food truck turned restaurant, Hot Indian has quickly spread for joyful curbside dining experience to a fast-casual restaurant that’s popping up in several spots all over the metro. Try the zesty Indian menu overseen by executive chef Janine Holig. Find them at the truck, in Midtown Global Market, a new spot in the downtown skyway, and a soon-to-open stand at the Mall of America. I could dine on gyoza and dumplings for days—especially if they’re the ones at PinkU, created by chef/co-owner John Sugimura. That’s just one of the endlessly munchable dishes from this casual little shop in Northeast. The goal of this restaurant is to take Japanese food from the top shelf and make it more approachable and affordable for everybody. Sugimura draws on inspiration from dishes his grandmother used to make. The result is the kind of spot that is easy-eating street food that appeals to everyone. Robyn Dochterman and Deidre Pope have been together for 31 years, and for the last several years have run this charming spot in Marine on St. Croix. The chocolates found here are stunning works of delicious, delicious art, but they also turn into a restaurant Fridays, Saturdays and Sundays serving wood-fired pizzas. There’s also wine, beer and a beautiful deck. This South Minneapolis restaurant is owned by the same folks who also operate Tangletown Gardens next door. That explains the lush greenery of this rustic breakfast, lunch and dinner spot. Scott Endres and Dean Engelmann also own a farm, so farm-to-table is more than just a catchphrase, but a real dedication to responsibly raised fresh vegetables and meats. Always order a seasonal salad and try to sneak in a side of the famous bacon.